Increasingly, investors want their money to produce a positive social impact in addition to a financial return. They are demanding investment opportunities that can demonstrate a quantifiable impact. Impact investors bring not only capital and accountability, but also commitment and creativity to the organizations, companies, and projects they invest in. Impact investing is growing, and impact investors want to improve health and cure disease. 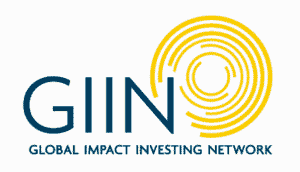 Impact investors surveyed in 2017 by the Global Impact Investing Network invested $22 billion in almost 8,000 deals in 2016 and are planning to invest almost $26 billion in 2017. The investors surveyed manage almost $114 billion in impact assets. A younger generation of investors, who overwhelmingly believe that their investment decisions can make an impact, is leading the sustainable investing charge according to Morgan Stanley in August 2017. Mission: Cure partners with impact investors to cure disease. By investing in disease-curing initiatives, impact investors can have a measurable impact on people’s health, along with an opportunity to earn financial returns based on patient outcomes and commercialization of successful therapies.